Everyone has a story to tell. 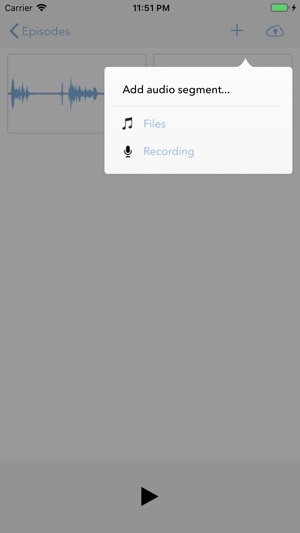 Record, edit, and publish your own short-form podcast with Wavelength for Micro.blog. 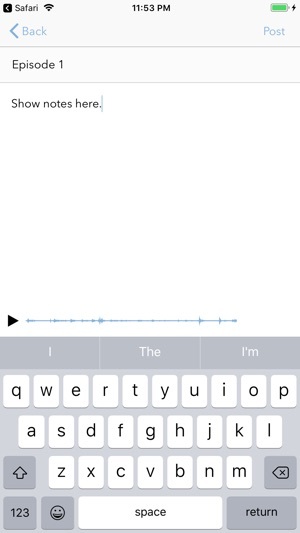 • Record directly in the app, with support for the built-in iPhone microphone or a Lightning microphone. 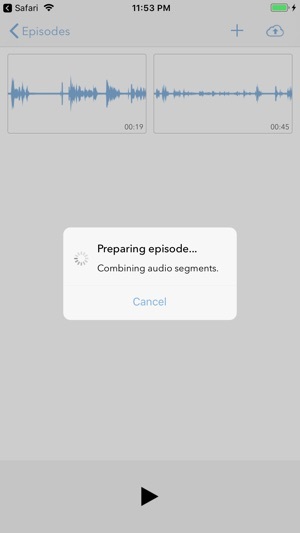 • Edit a microcast episode with segments that can be split and dragged around to change the order. 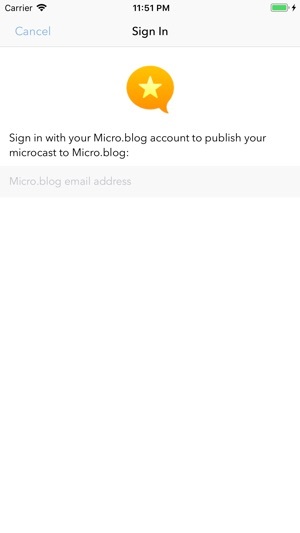 • Publish directly to Micro.blog. We'll handle creating a podcast feed that can be added to the Apple Podcast Directory or used with popular apps like Overcast and Castro. • Use your own domain name for your podcast. You own the recording. 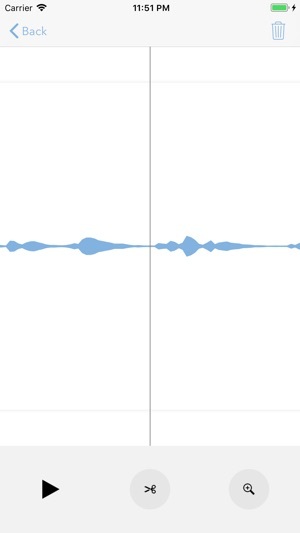 • If you have an Auphonic.com account, Wavelength can send your podcast to Auphonic for post-processing. Wavelength requires a Micro.blog account. If you have any feedback, we'd love to hear it: email us at help@micro.blog. * Updated MP3s to 128 kbps, mono. We'll consider adding a preference for quality and stereo in the future. * Fixed playback volume using correct iPhone speaker. 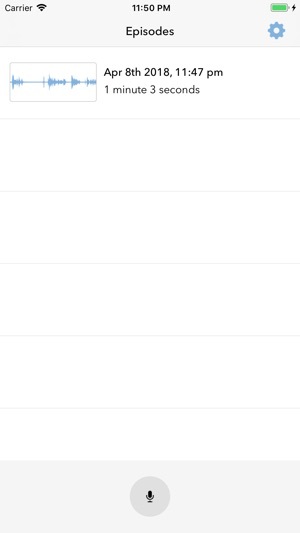 * Fixed a few potential crashes and improved publishing error messages. * Fixed Auphonic username field to not use auto-correct. * Fixed glitches with consistently using external microphones. * Fixed error sometimes when splitting segments. 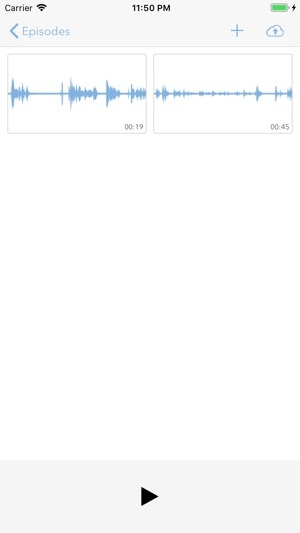 Simple app for easy microcasting. A “just press record” function is great for keeping the idea of microcasting as simple as a tweet. However, I would suggest being able to add local audio files from apps such as Ferrite so other post processing can be conducted before publishing. The Auphonic integration may make more sense after some more detailed editing options have been applied to a finalized product.